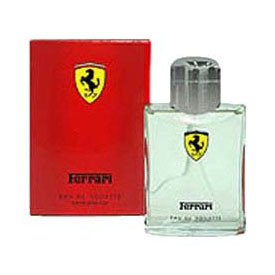 Launched by the design house of Ferrari in 1996, FERRARI RED is classified as a refreshing, oriental, woody fragrance. The masculine scent possesses an essence of fresh woody notes and a blend of orange, bergamot and verbena. Woody : Fragrances that are dominated by woody scents, typically of agarwood, sandalwood and cedar. Patchouli, with its camphoraceous smell, is commonly found in these perfumes. Orange - An orange—specifically, the sweet orange—is a citrus fruit and is a hybrid of ancient cultivated origin, possibly between pomelo and tangerine. It is a small flowering tree growing to about 10 m tall with evergreen leaves. The orange fruit is a hesperidium, a type of berry. It is famous for its very tangy smell. Bergamot - The bergamot is a small and roughly pear-shaped citrus fruit originating and grown mainly in Calabria, Italy. Bergamot grow on small evergreen trees known as bergamots, which are produced from a cross of the pear lemon and the Seville orange or grapefruit. Bergamot peel is used in perfumery for its ability to combine with an array of scents to form a bouquet of aromas which complement each other. Approximately one third of all men's and about half of women’s perfumes contain bergamot essential oil. Bergamot was a component of the original Eau de Cologne developed in 17th century Germany - in 1704 the bergamot was first used to make the now famous "Eau de toilette" from the bergamot fruit by scooping out the pulp and squeezing the peel into sponges. Verbena - Verbena (verbenas or vervains) is a genus of annual and perennial herbaceous or semi-woody flowering plants. The leaves are usually opposite, simple, and in many species hairy, often densely so. The flowers are small, with five petals, and borne in dense spikes. Typically some shade of blue, they may also be white, pink, or purple, especially in cultivars. Their oil is an important component in perfumery. Recommended Wear - It is recommended for office wear.